In the middle of perhaps the most bizarre presidential campaign ever, the primary communications vehicle for the Republican Party, Fox News, suffered a massive blow to its propaganda infrastructure. 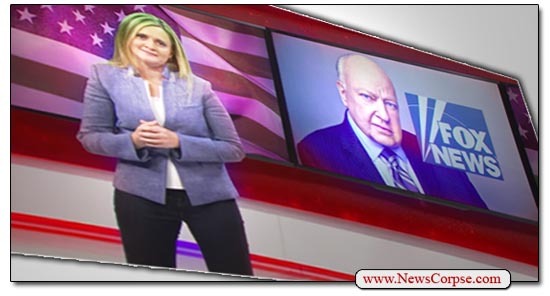 Last week Fox’s chairman and CEO, Roger Ailes, was unceremoniously cast unto the garbage heap of perverted executives after numerous allegations of sexual harassment emerged. The hostile work environment for women at Fox is reflective of their editorial bias against women, socially and politically, and the issues that impact them most. Reproductive rights, family leave, and gender discrimination, are all areas in which Fox has taken stances in opposition to the best interests of women. So while Ailes (and certainly others at Fox) is an abusive slimeball, we must not forget that Fox is still a thoroughly dishonest purveyor of right-wing disinformation. That’s as accurate an appraisal of Fox News as any ever published by an academic journal or media analyst. It captures Fox’s reliance on titillating the passions of their wingnut viewers, and lord knows their viewers want their wingnuts titillated. As an extra added benefit, she’s funny as hell. If she keeps this up, she’s going to get a show every day and deservedly so. She’s awesomely funny and not afraid to tell the truth.